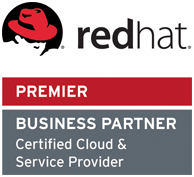 ORock Technologies is a Red Hat Premier Certified Cloud and Service Provider, or CCSP. This important partnership certifies that ORock meets the stringent business and technical requirements to run Red Hat solutions in the cloud and offer managed services to support customer needs. It designates ORockCloud as a trusted, secure, enterprise-grade destination for end users, Independent Software Vendors (ISVs), and channel partners to access and consume Red Hat solutions. Adoption of open source technology continues to grow, and the trend is transforming how enterprises buy and use IT. The community-driven approach inherent in open source software development has yielded solutions that are more innovative, secure, reliable and transparent than traditional proprietary technologies. 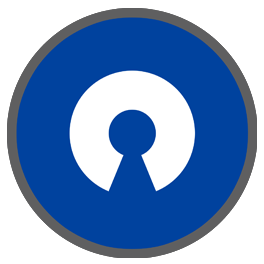 ORock believes the open source movement is a catalyst that will shape the future of enterprise information technology. That’s why we worked side-by-side with Red Hat engineers to build our core offering, ORockCloud, as an open source cloud using Red Hat technologies. This certified Red Hat cloud is the first and only cloud based on the Red Hat OpenStack Platform to receive authorization at the Moderate Impact Level from the Federal Risk and Authorization Management Program (FedRAMP). Red Hat is the world’s leading provider of enterprise open source solutions, using a community-powered approach to deliver high-performing Linux, cloud, container, and Kubernetes technologies. Red Hat helps organizations standardize across environments, develop cloud-native applications, and integrate, automate, secure, and manage complex environments with award-winning support, training, and consulting services.